I’m thinkin’ there’s been a lot of discussion about beds recently at our shows. 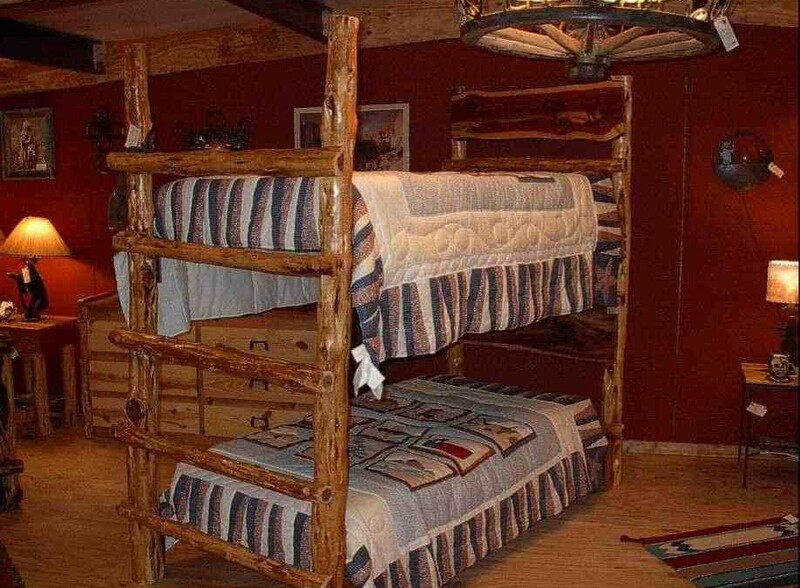 It seems there is more interest in getting a sturdy bed built to last and with character. Most people know the handcrafted furniture is the best way to get this. If you are someone looking for a different style of bed (with or without character) that will last years and years, why not consider one hand made right here in Texas from Cedar wood grown in Texas? Think about that suggestion and continue reading. In case you didn’t know Cedar is a heavy solid wood that will last for many years. It has a nice pleasant odor and the light and dark colors in the wood is attractive and adds character. Rockin’ L has been hand crafting great Cedar beds for years at a very reasonable price. We have our own ideas of style but also do custom work so you can give us your ideas and we will build from that. We have made twin, full, queen, king and the super king size. We have made the bunk bed sets, the twin size over the full size bunk sets, the top bunk twin bed with a chid’s desk under. We put drawers under the bed for extra storage if you need that. The side rails are metal and attach with screws to the head and foot board. The king will have an extra metal foot rail for added support in the middle. If you are thinking of getting a bed, contact us and if you have an idea different from what we have we will be happy to work with your idea. Of course, with that bed you will want to add the other pieces to get the full bedroom set made from Cedar wood, you may decide not to get all at one time but add as you are able. We make the side tables, the 5-drawer chest, the 6/drawer dresser with mirror, a cedar chest for storage (some use it at the foot of the bed as a bench so you get double use from one piece) and more. These pieces can be made the size you need to fit your space and can be build to your custom ideas if you have any. Contact us if you have any questions or want to discuss having a piece or pieces of furniture hand made for your home, cabin, office or where ever.